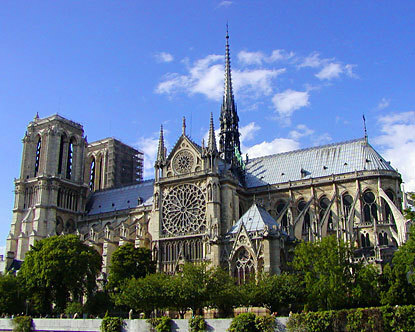 Disk drives could be located in the transepts (side wings) and/or front, with on/off buttons cleverly disguised as windows or other features of the architecture. The windows of course could light up with a really stunning array of lights, to. Nice idea. Since we're dealing with a square board, you could turn the board on it's side for the main part and have the HDD/DVD drives come out the front. With a bit of lighting, this would definitely be one breathtaking mod to create, and it would fit me too. Since I like this idea, I will tell you that you should flesh out the idea (with component costs) and not just have a vague rendering. The side windows could be case fans as well, given how huge they are, with fan screens to look like the stained glass windows. Excellent ideas Krazeek. I'll flesh it out a bit, and perhaps put together a quick 3D model as well. The case fans as windows would be perfect.